Muscle for Life Success: Liz F.
"I feel more confident, my mental health has improved, and I actually enjoy shopping for clothes now!" They represent 12 weeks. My starting weight was 172 lb and around 30% body fat (guessing without calipers). My 12 week weight was 151.5 lb and about 25% body fat (using calipers). I have been cutting since the start of the program, maintaining about a 20- 25% calorie deficit. 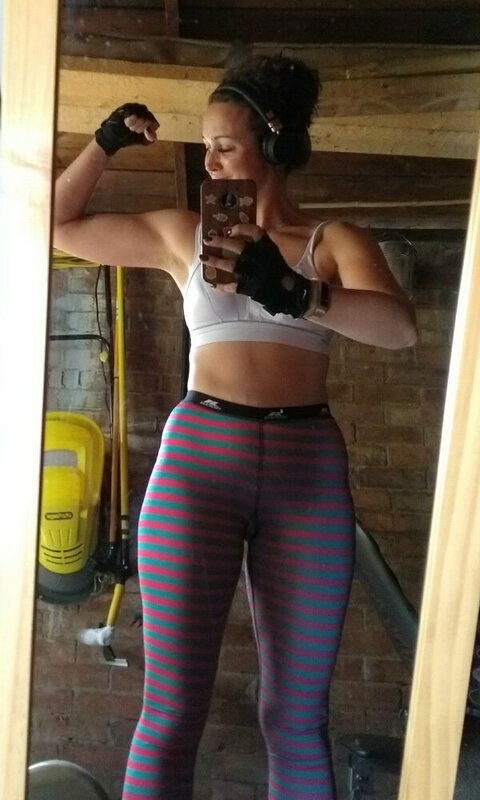 I lost 20.5 lb in the first 12 weeks and am continuing to cut–I just had a deload week and I have noticed an increase in my strength. I was new to weight lifting, so initially I couldn’t even squat with proper form with a barbell and had to begin developing my flexibility by doing regular squats. I can now squat 60 lb. I have increased my bench press from 10 lb to 45 lb and my deadlift from 50 lb to 110 lb. I had very limited muscle mass when I began and focused on good form over weight–but I still made sure to implement progressive overload on every set! I did the 5-day split as well as walked my dog for an hour each day. I tried to incorporate 10-15 minutes of HIIT when I had time 1-2 times a week. I am the owner of the first and second editions of Thinner Leaner Stronger. Before I bought the book, I thought the program sounded too good to be true and was hesitant to start. I always thought to lose weight you needed to do a ton of cardio (which as an asthmatic I hate) and that weights would make me look bigger, so this made me hesitant to start, too. I also thought it would be expensive to buy protein powder, a gym membership, and fit 5 workouts a week into my lifestyle. Upon reflection, I would watch TV for 2 hours a night, so realistically I had plenty of time! I have spent years of my life battling with my weight, previously weighing around 200 lb and made some progress through diet alone. 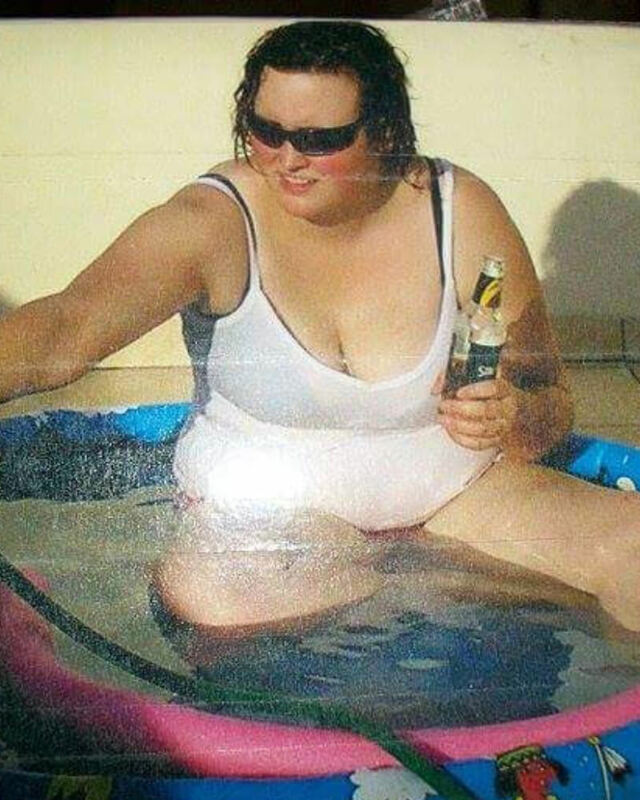 I thought that some people just had good genetics. I didn’t see girls like me in the transformation photos which made me think I wouldn’t be able to do it. I reached out to Mike via email following a difficult time in my personal life which had affected me both mentally and physically. Mike was so supportive and this gave me the motivation to dedicate myself to the program. It’s not realistic for me to join a gym as my job takes me out of my home for over 12 hours a day, so a home gym has allowed me to easily incorporate the 5 days of training into my routine–I just get up earlier to accommodate it. I also wanted to share my story with those, who like me, need to work out on a budget– you can still do the program and you don’t need any fancy machines. As a newbie to lifting, I found that I got a lot of enjoyment out of learning how to weight train. I consider it a “hobby” now and am surprised at how motivated I am by wanting to increase my 1RM. I am not a competitive person, however, beating my own results has become very enjoyable! My motivation has changed as well, initially I just wanted to just be ‘skinny’, but now being strong and healthy are my paramount goals. I was skeptical that I would have noticeable results after 12 weeks. However, lots of people have commented on my changing body shape and weight loss, noticing my toned arms and back. 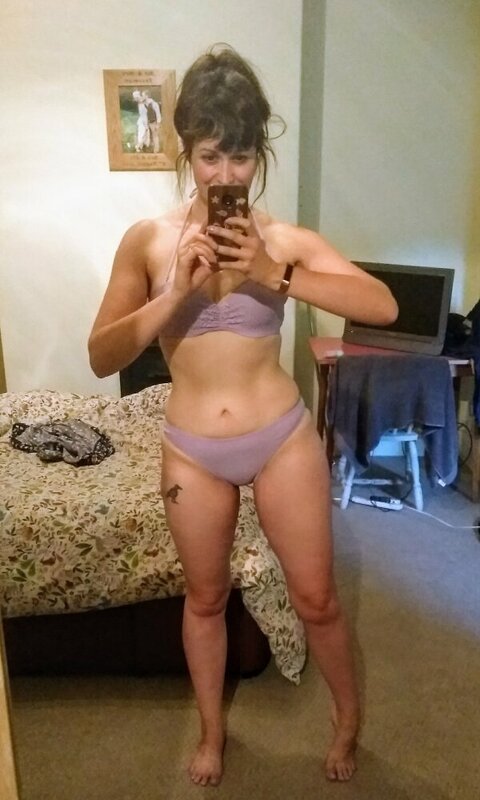 I feel much more confident and have started enjoying clothes shopping, even buying a bikini for my vacation. I have previously been in the herd of fitness followers, buying diet pills, shakes, counting points etc. I have never been able to sustain any of these programs because they were so restrictive on day-to-day life and I always put the weight back on after a few months. The difference with Thinner Leaner Stronger is that it isn’t a diet and exercise program, it’s a lifestyle. As soon as I got my head around that, I have been able to make sustainable changes to my life through fitness and diet that I know I will be able to stick to. I’m not yet where I want to be, but I’m so proud of how far I have come on my journey. Once I got the hang of macronutrients I was surprised at how much I could eat and how flexible it was. I eat healthy but I’m no longer scared to have fast food as a treat, and now know no food is off limits! Thinner Leaner Stronger removed my fear of carbs and fats being bad for you, and I now incorporate them into all my meals. The weight loss has been steady throughout the 12 weeks. I cannot believe how much my body has changed. I can fit in size UK 10 (US 8) jeans, I haven’t been able to do this for over 20 years! Listening to the Muscle for Life podcasts and reading the articles on the website have educated me in a way no other fitness plan has ever done. This has been what has always been missing in all other programs I have done, as I didn’t have an understanding of how my body was affected by diet and exercise. Now this knowledge is the foundation of my lifestyle choices. When I first started the program, my only goal was to get lean and I didn’t care how this was achieved. By following Thinner Leaner Stronger, I have learned so much about my body–how it burns energy, builds muscle, and how weight lifting has additional health benefits. My mental health has improved, I don’t have aching knees anymore, I have improved skin, and sleep much better as well. I also have discovered I really love working out! 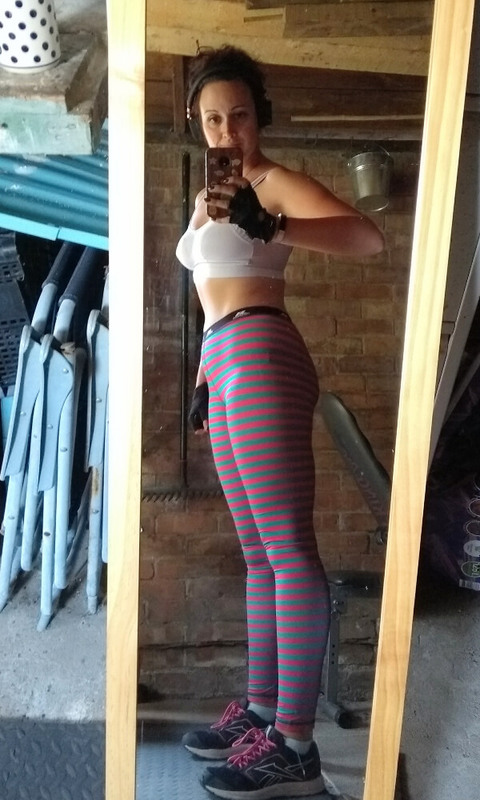 I will take my resistance bands with me when I travel, look forward to getting up and getting in my gym, and will soon be treating myself to some new equipment! I would recommend this program to other women like me, who have counted points and developed unhealthy relationships with food and exercise. Thinner Leaner Stronger teaches you to take control of your weight loss and understand how your body changes with diet and fitness. Most importantly it’s a program that you can easily fit into your life, allows you to eat meals guilt free, and enjoy exercise. I never thought I could be someone who would be a transformation story and I hope by sharing this opportunity can encourage other people out there to show that these changes are possible, whatever your size! It is really important for me to stress to other people wanting to do Thinner Leaner Stronger out there that it doesn’t have to be expensive. A lot of my friends constantly ask me how much a month I paid for Thinner Leaner Stronger and are shocked that once you buy the book that’s it. You don’t have to join a gym and I don’t always choose to use protein powder. My food bills are unchanged and I’ve actually saved money on a gym membership by buying second hand weights and reducing the amount of take-out food I used to eat. 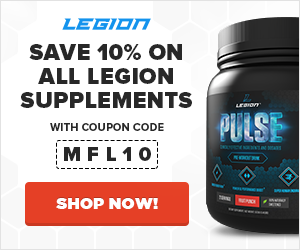 I haven’t used any of Legion’s supplements, however I did use the Thinner Leaner Stronger recommended supplements–green tea extract, caffeine, forskolin, synephrine, yohimbine, and a multi-vitamin.